Back down to earth with a bump today. Back in my default look......I spoke a lot about this yesterday. My lifestyle dictates my style mostly. Practical.....hopefully with a bit of edge. I feel comfortable in my signature look and I guess that is the main aim! I hope you don't mind me indulging in one more Bristol Fashion Week Festival photo. 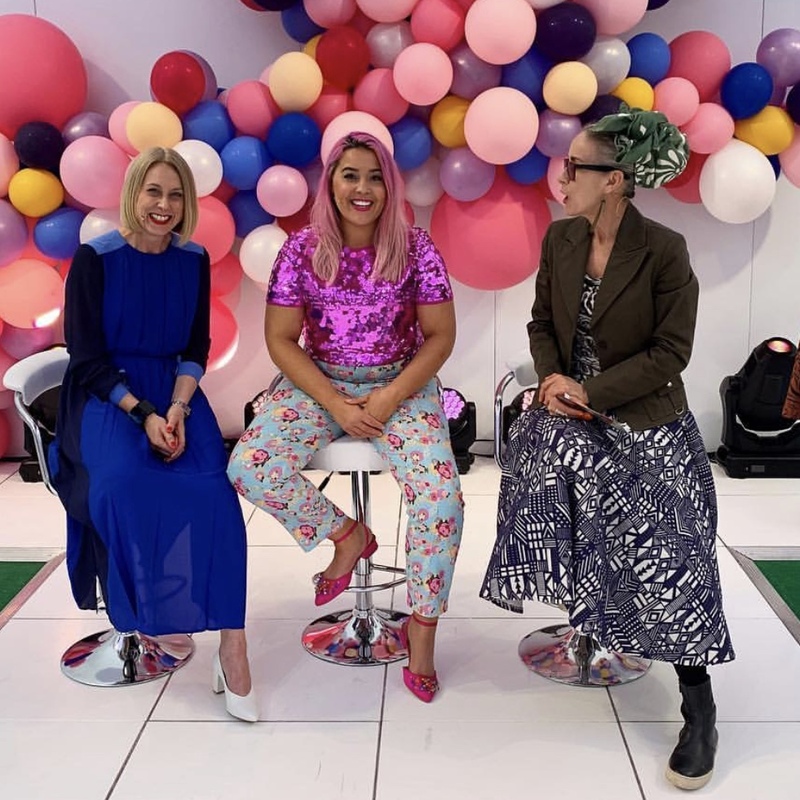 I met some very inspiring women yesterday but I especially wanted to mention Megan Jayne Crabbe aka BodyPosiPanda whom I was lucky enough to share the stage with. She is so special.....her magic should be available on the NHS! She is 100% behind her message........YOU ARE ENOUGH! She coached me through some of my insecurities and said this to me more than once during the day as well as "you've earned your place here". But hey.......I'm just like you.....and like lots of the ladies who I spoke to yesterday. I let that darn imposter syndrome get to me. But we are ENOUGH! I hope to take my daughter back to The Mall on Sunday as Megan is in conversation with Caryn again. She is such a role model and I would love my Gracie to meet her......and a bit of Megan's magic rub off on her! I'd like to thank The Mall especially Lizzie & Lauren for inviting me to be a part of such an incredible experience and to Fashion Live.....Eunice & Laura thought of everything and the day went so smoothly thanks to their expertise. Dior Backstage for my make-up......and for keeping us all in hysterics! I mustn't forget The Clifton Hair Company for taming my unruly barnet! Oh and last but not least my real life friends (you know who you are!) who came to support me....and for the new connections I made on the day! See what happens when women support women.......we are all bloomin' awesome!